Mark your calendars! 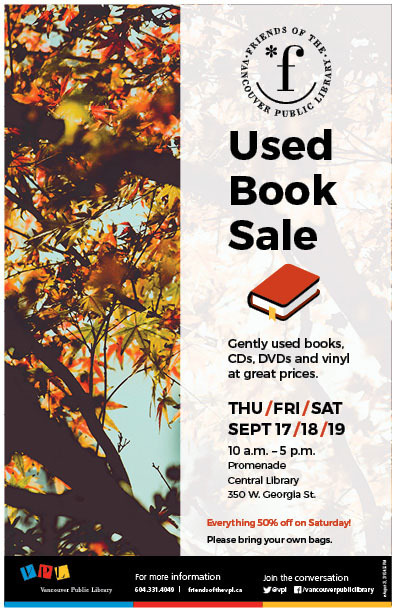 The Fall Used Book Sale runs September 17 through 19 at VPL Central Branch. Gently used books, CDs, DVDs and vinyl at great prices.